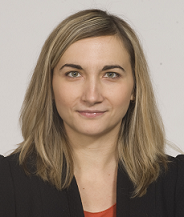 Milica is a Senior Research Associate in the Behaviour and Health Research Unit. Her research focuses on the design and implementation of social-cognitive interventions to change people’s behaviours. Milica has also been researching behavioural biases in risk identification and mitigation; automatic processes involved in behaviour change; and mindset priming aimed at changing people’s attitudes, values, and behaviour. At the BHRU, Milica is involved in primary research exploring the impact of interventions that aim to improve people’s health outcomes, and reduce health inequalities (http://www.bhru.iph.cam.ac.uk/). *Finalist for the European Social Cognition Network (ESCON) Best Paper Award for 2011.